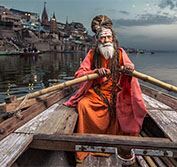 This comprehensive holiday to India combines the great historic sights of the Golden Triangle with the spiritual centres of Amritsar, Dharamshala & Rishikesh. Visit the Golden Temple, Shimla in the Himalayas & take the Toy Train. Then visit Delhi, Taj Mahal in Agra & Jaipur, before completing your holiday wiith a thrilling safari to see tigers in Ranthambore. English speaking driver, city guides, jeep safaris & specified sightseeing included. Transfer 1-hour to Haridwar Railway Station in good time to board the express train travelling 5.5-hours to Delhi (air conditioned chair class). You will be met at Delhi Railway Station and transferred to your hotel in this bustiling city. We then travel 1-hour to the magnificent red sandstone royal city of Fatehpur Sikri, built by the emperor Mohammad Akbar as the capital of the Mughal Empire. The city was abandoned due to water shortage, when the capital was moved north to Delhi, and in more recent years the fort has provided a dramatic backdrop to several famous films. This morning we travel 4-hours from Jaipur to Sawai Madhopur in southeast Rajasthan. On arrival in Sawai Madhopur, check into your hotel situated near Ranthambore National Park and enjoy a private jeep safari in this world famous tiger sanctuary. Originally the hunting grounds of the Maharaja of Jaipur, today it is the largest wildlife reserve in northern India and covers an area of over 250 sq miles (400 sq km).